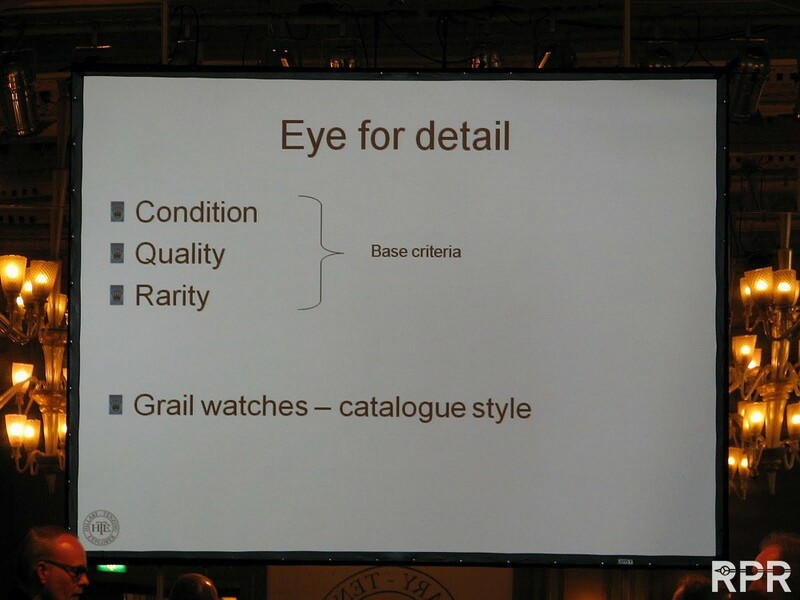 Today I want to share with you the principles of collecting rare watches. 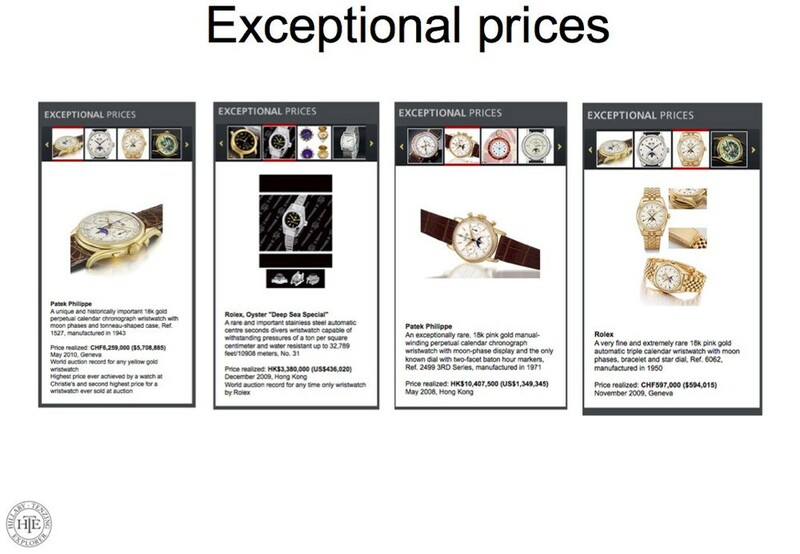 The worldwide watch community focuses mainly on the 2 brands that have the best name and achieve highest collector prices; Rolex & Patek Philippe. 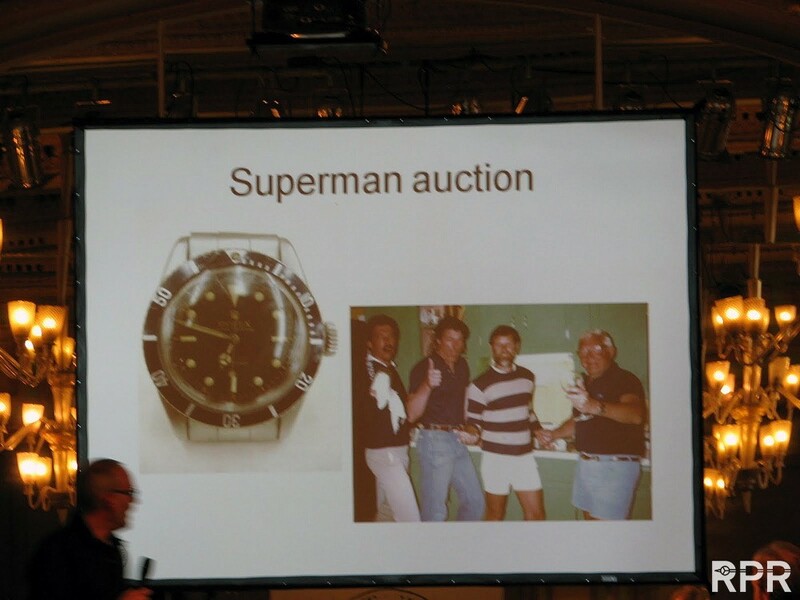 About a year ago, during the Maastricht Hillary & Tenzing lecture and Rolex Passion Meeting for friends, me & great buddy of mine lectured about collecting vintage Rolex & Patek Philippe. 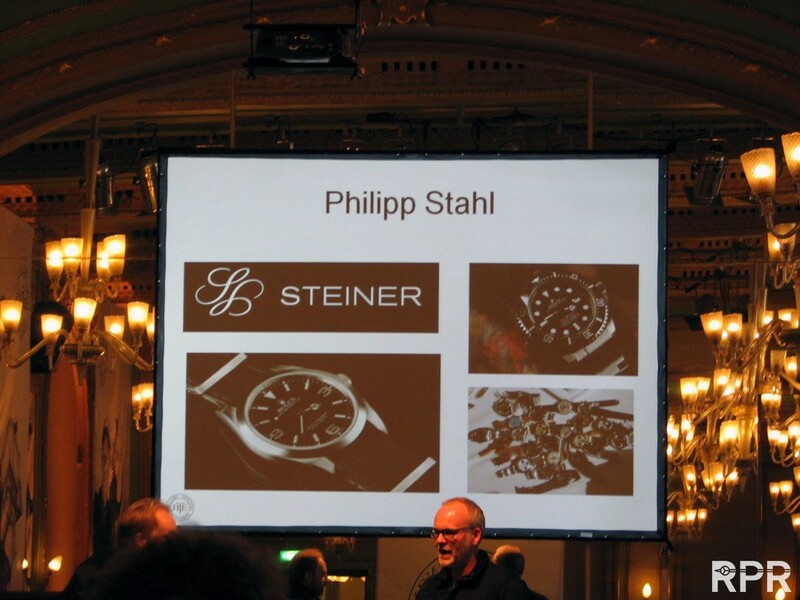 As above statement defines my personal passion for Rolex quite well the brief history about me personally is that I started vintage watches some 25 years ago at our antique store Steiner in Maastricht, The Netherlands. As back then mid 80-ies the focus in the market was still for 80 % on jewelry and silver work, my love towards watches had yet to be developed. 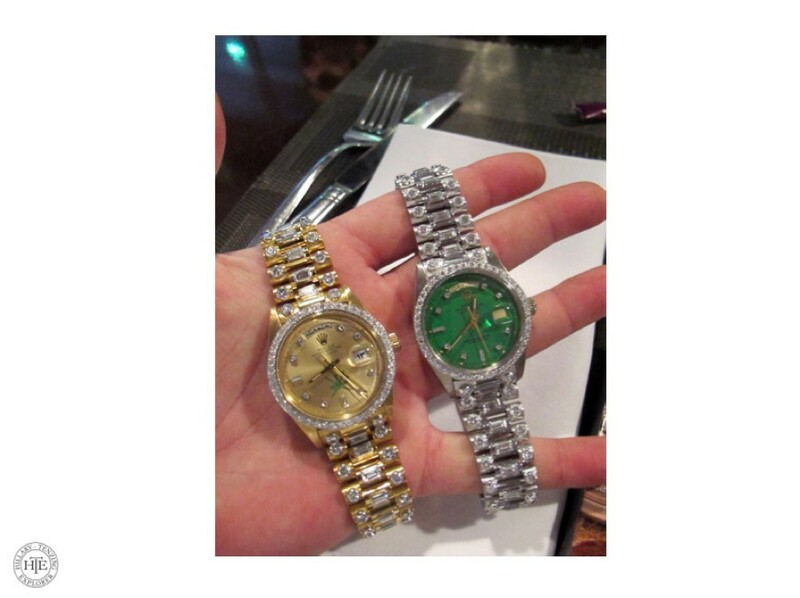 Beginning 90-ies the market for vintage Rolex started to move forwards, Japanese collectors hyped the early ‘Bubbelbacks’ to a new hight, over sudden those ‘old Rolex’ became collectable and worth more then a new one! 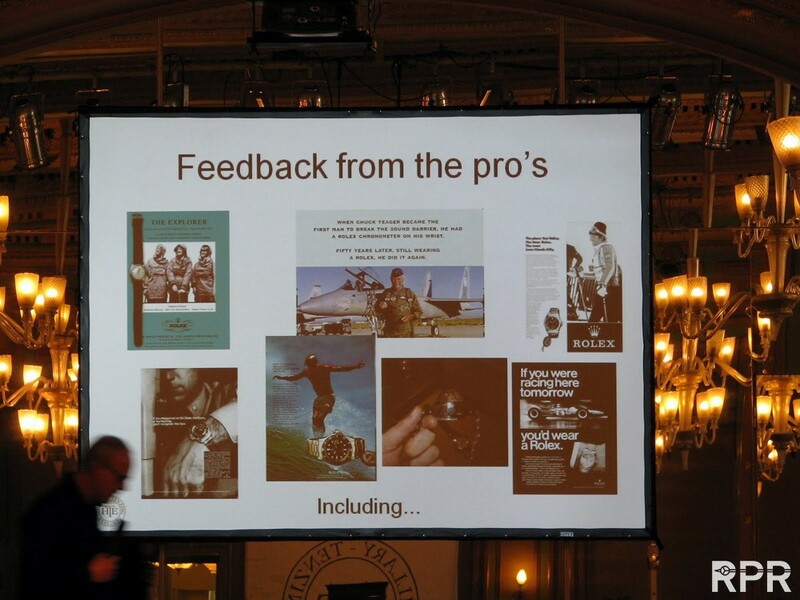 As professional watch collecting back in those early days was mainly focused on complicated movements, the early adopters focused on all complicated Rolex & Patek Philippe Moonphase, Calendar, Chronographs. 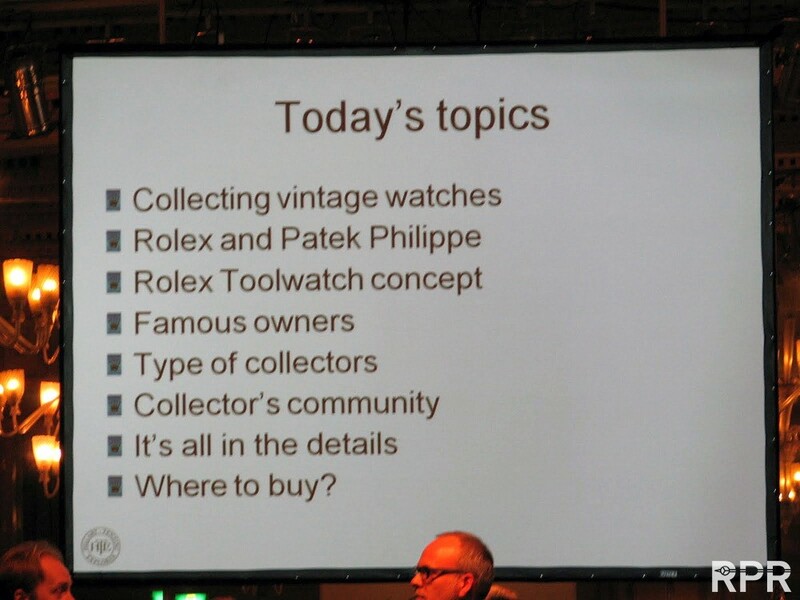 In 2008 I started with a great buddy of mine the Rolex Passion Meetings where collectors from all over the world come together and share their knowledge between trusted friends. 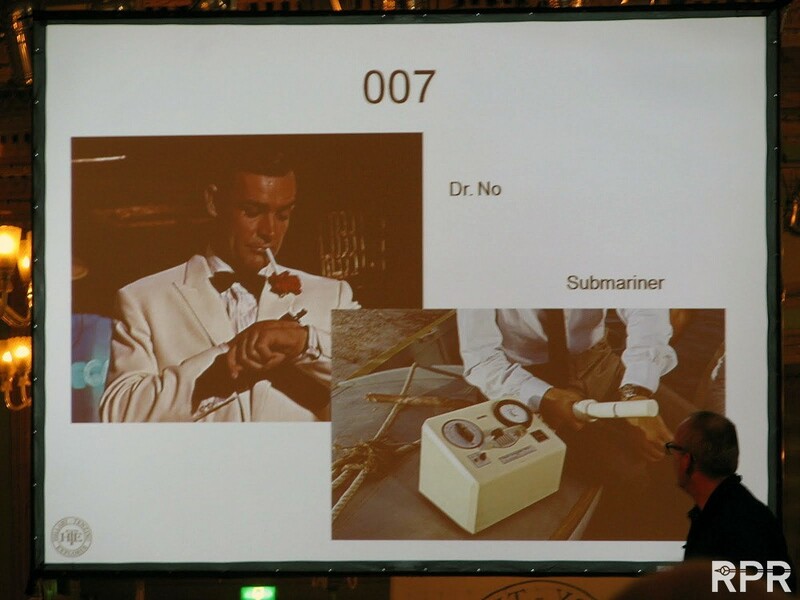 Meanwhile I experienced that Rolex did not have any open service for their vintage Rolex watches nor did they’ve a museum presenting their history as much as other luxury brands do. 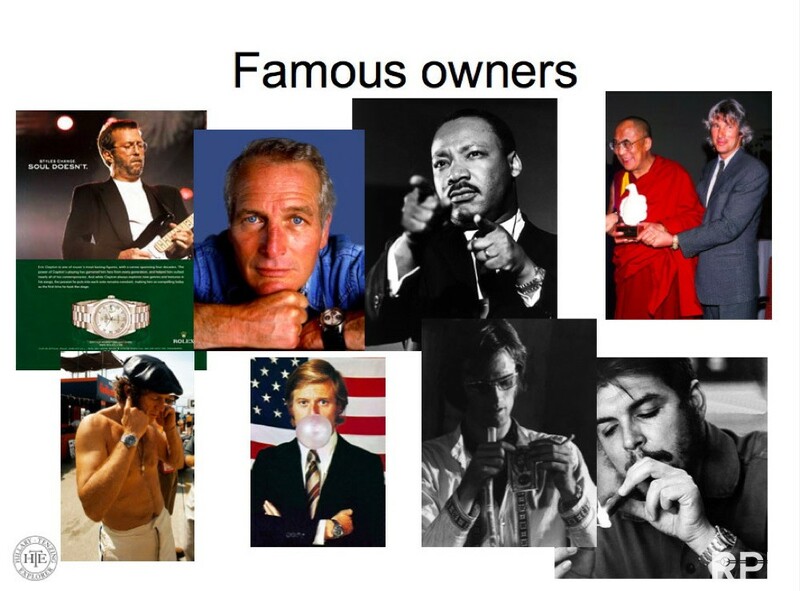 Therefor I started ( all surprised that Rolex hadn’t covered the rights of their heritage with important hero’s out of their past & about the fact Rolex introduces a DeepSea in 2008 forgetting to explain their audience to explain where the name ‘DeepSea’ came from) with the limited Rolex Piccard DeepSea to work together with these legendary families. The next logic step for me was, once being to the deepest place on earth with Rolex, their highest achievement by Sir Edmund Hillary & Sherpa Tenzing Norgay in 1953 with our ‘heritated’ Hillary Tenzing Edition. 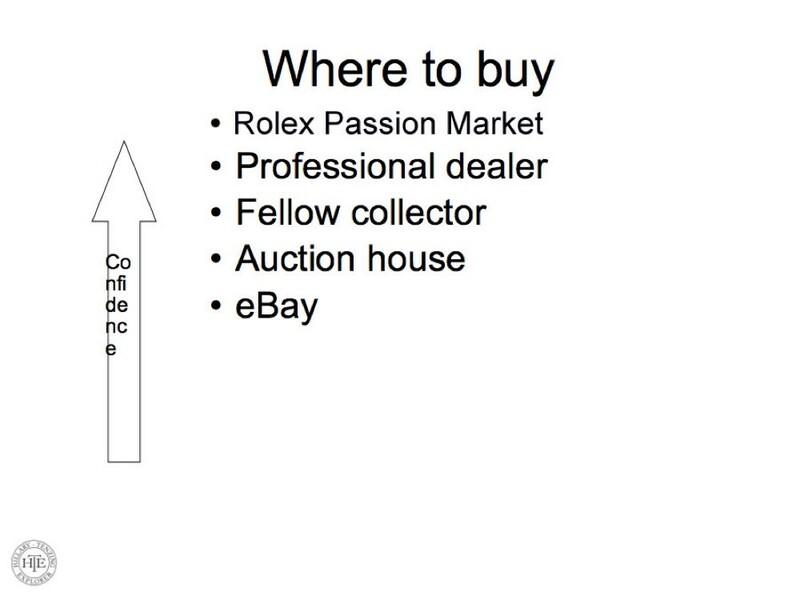 As I’m never tired about talking Passion Rolex, willing to help & inform enthusiastic new comers together with all my knowledgeable friends worldwide, we have discovered almost all secrets about vintage collecting. My initial ‘hobby’ has now 25 years later become professional. 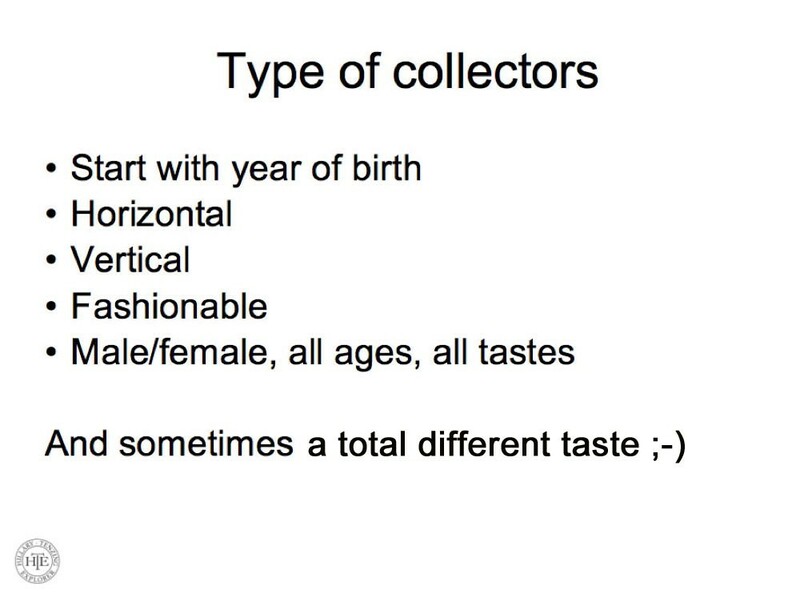 That’s the reason why I started RPR a while ago to report about the wonders of vintage collecting Rolex. 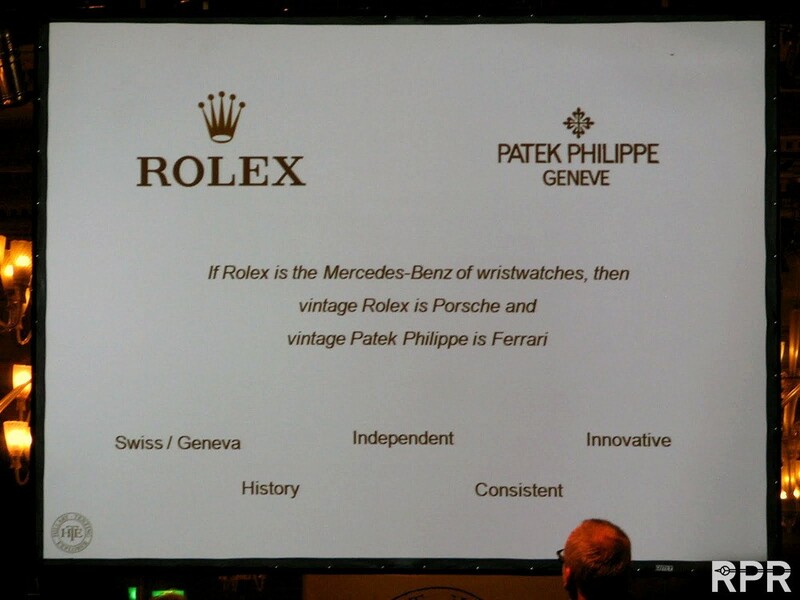 If Rolex is the Mercedes- Benz of wristwatches, then vintage Rolex is Porsche and vintage Patek Philippe is Ferrari.Think about it! Rolex is a luxury mass producer like MB nowadays but those exceptional designs like the Explorer, GMT, Daytona & Submariner from their past, match nowadays much better with a classic like the 911 from Porsche. 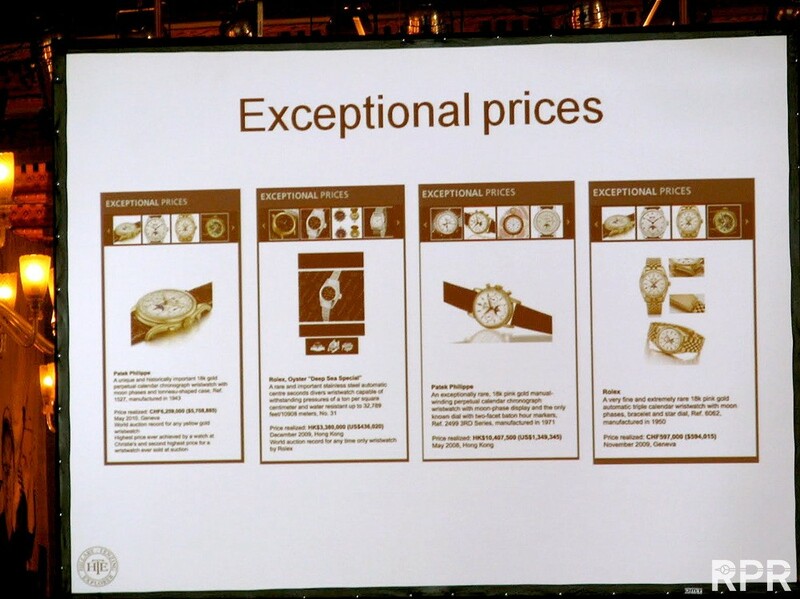 Patek Philippe has always been exotic, delivered in small quantity to best buyers in the market, fragile and complicated. 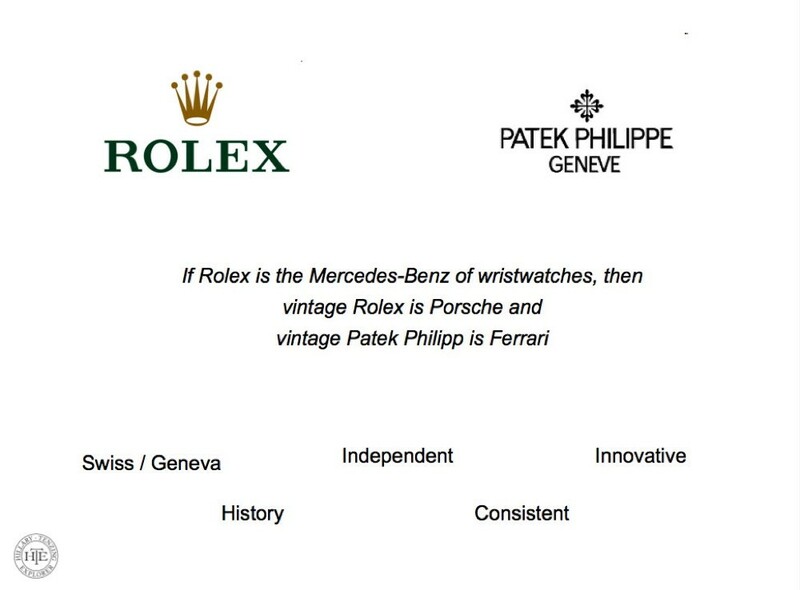 Both are traditional watch brands, all swiss made, independent & innovative, consistent and although PPC is nowadays more aware about their history then Rolex, both have built up the best possible heritage one could aim for as collector! 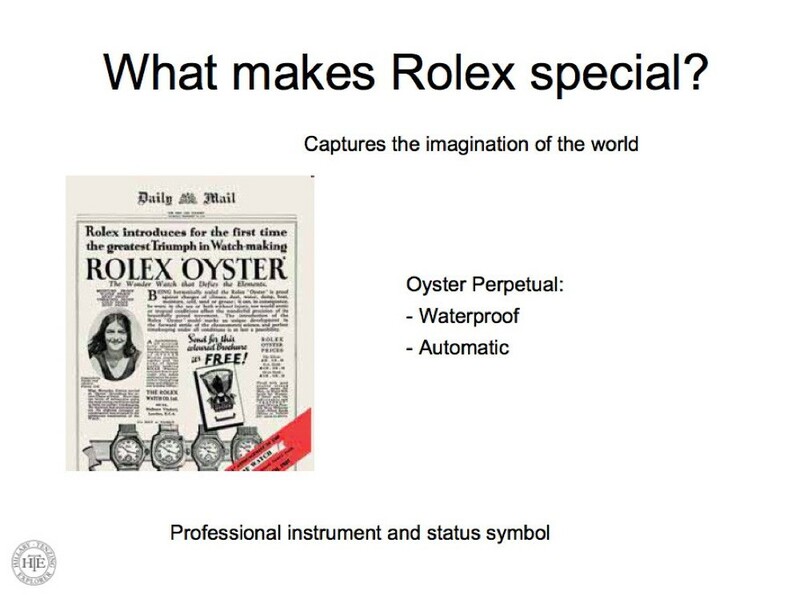 The fact that most Rolex are ‘Oysters’ thus waterproof & rustproof, it’s more common to find one in good preserved condition, adding the unique automatic winding, the case design became mythical, besides a professional instrument it also had become a status symbol for most. 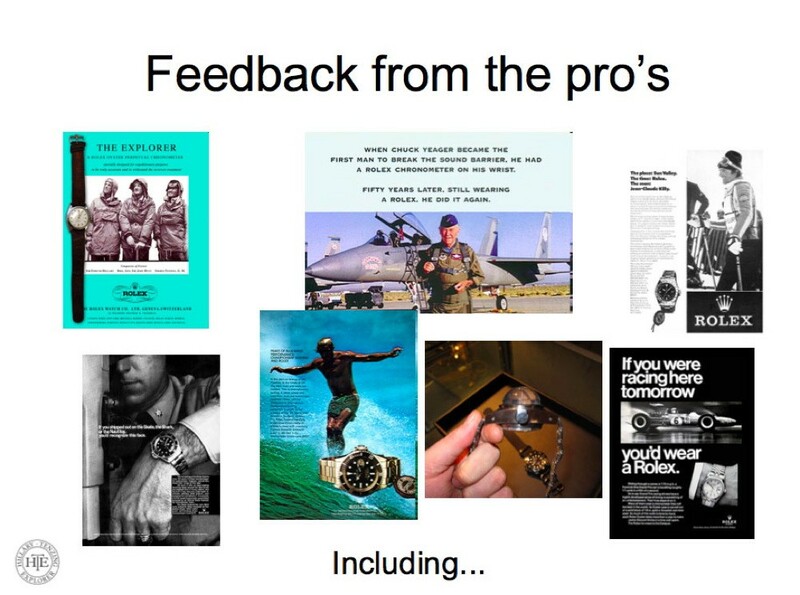 How did Rolex sell their watches ( main focus for production was their regular Datejust & Day Dates) back in the days. By ‘using’ the enormous achievement brave man like the first explorers, adventurist, military, divers, race drivers have had with Rolex, the consumers got the believe in Rolex it’s durability. 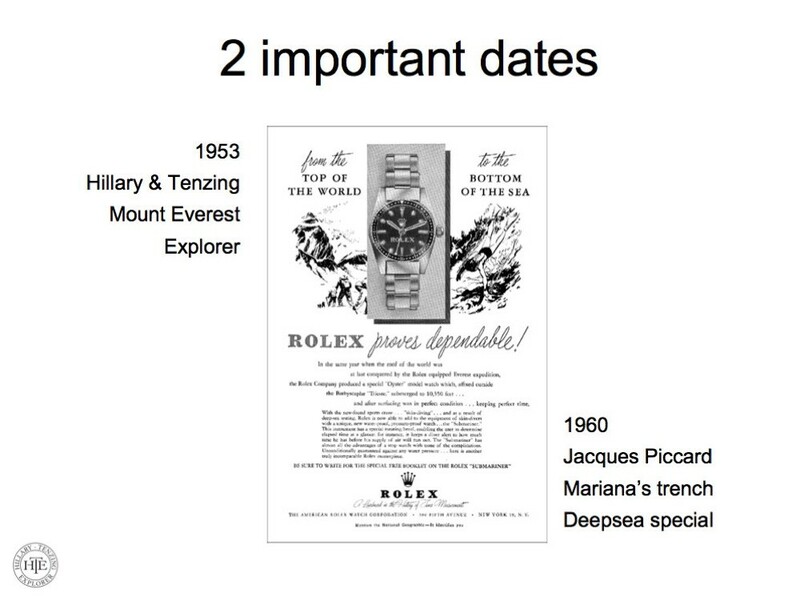 Their 1953 credo: From the Top of The World to the Bottom of the Sea, Rolex proves dependable” has become legendary and was the start of their important ‘Tool Watch Evolution”. 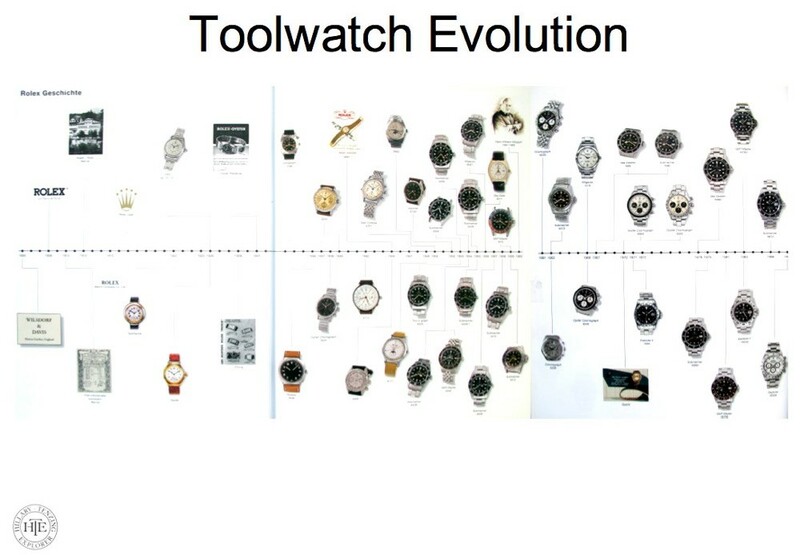 All other watch brand took their tool idea over from Rolex. 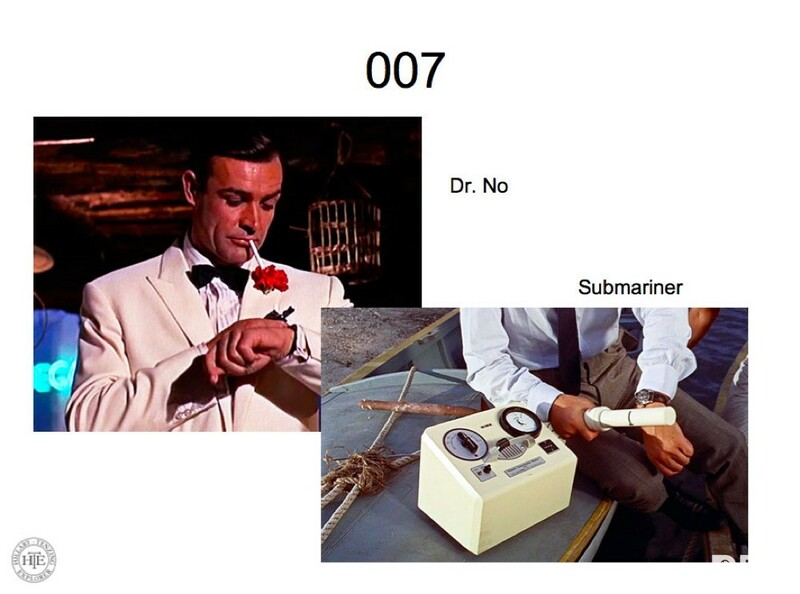 And yes, 007 was well aware about the radioactivity of his Rolex as we can see him ‘geiger’ his Submariner in Dr. No movie. 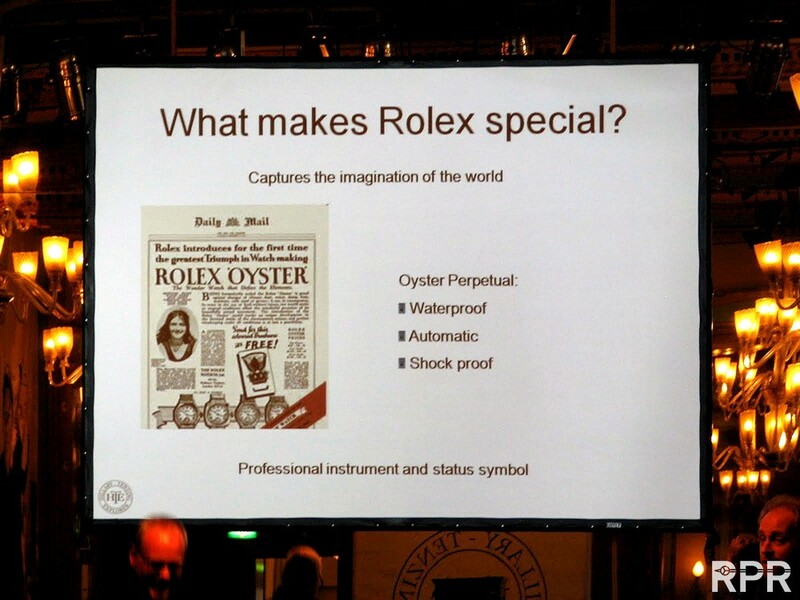 Read more about the fabulous Rolex History & Heritage here on RPR. 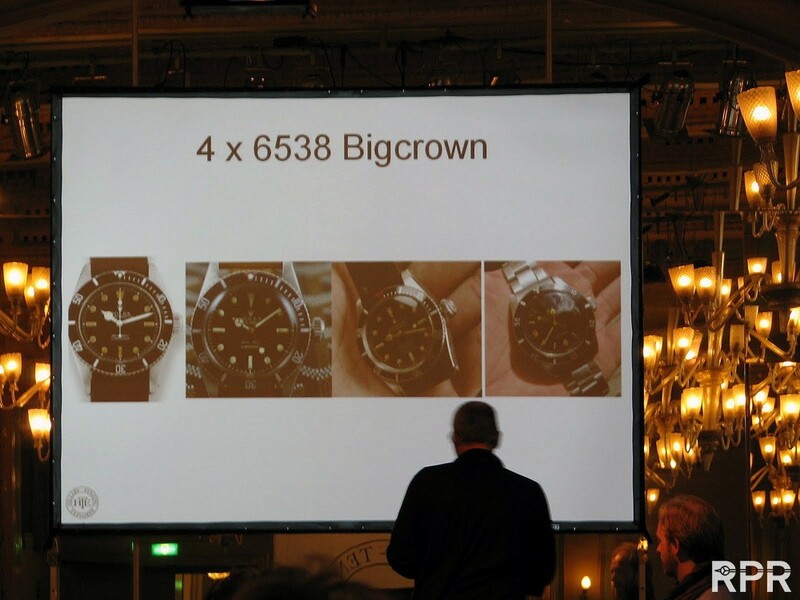 Lets explain the importance in value of this ” Eye for Detail ” phenomenon by below 4 x Rolex ref 6538 Big Crowns. Our ‘trusted’ marketplace is online now, called Rolex Passion Market This will help built up more confidence for those that are willing to step into our world. 2) hardly worn and unpolished. 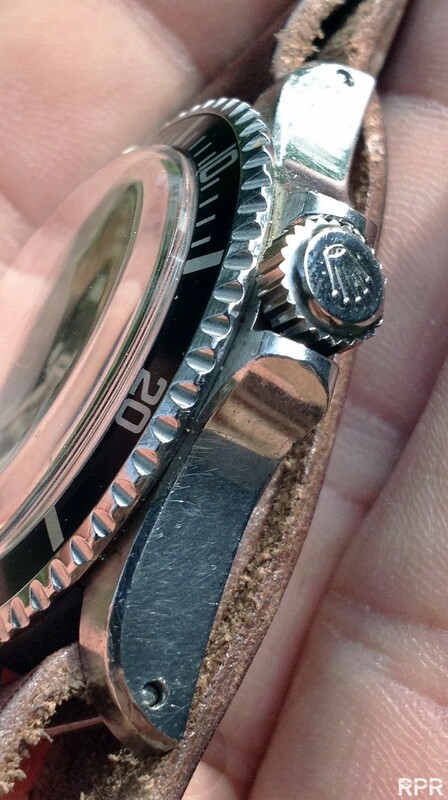 4) newly enhanced laser welded polishing. 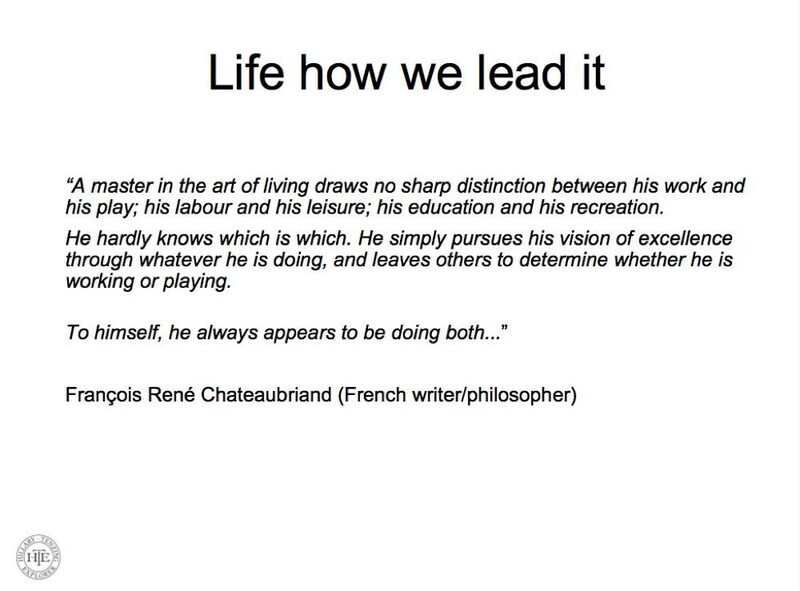 This post was written by Philipp on July 28, 2012.